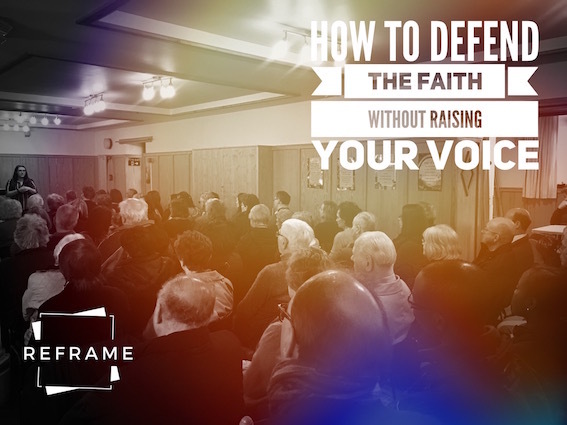 Coming soon to our parish: Reframe, a series of talks designed to help you respond to the questions which come up with your family and friends, or in the pub or other social setting, about the Catholic Church and our faith. Each week an experienced speaker will introduce a controversial topic chosen by you, the parishioners, and help you develop the skills to ‘reframe the question’ so as to enter into a fruitful dialogue with those who may be critical of the Church and answer the questions they have with compassion and understanding. Reframe will begin with a day workshop on Saturday 11 May and continue with three evening talks on May 16, 23 and 30. Ideally you should attend all sessions, but if you have to miss one or two please come anyway. A sign-up sheet is available at the back of Church or you can register your interest by emailing or phoning us in the parish office or by speaking to Fr. Keith after Mass. All the sessions are free and a simple meal and wine will be provided.